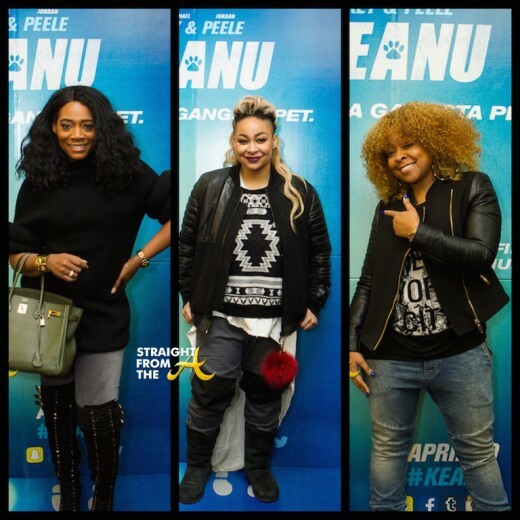 Yandy Smith (Love & Hip Hop NY), Raven Symone (The View) and Monifah (R&B Divas) were a few of the celebrities who attended the New York screening of the new film KEANU last night (April 28, 2016). Several New York influencers were invited to AMC 19th Street to enjoy a special screening of the flick, which was hosted by VIBE Magazine. Special attendees included Raven Symone (The View), Yandy Smith (Love & Hip Hop NY), BBOD’s Moe (Love & Hip Hop NY), Dutchess (Black Ink Crew), Puma (Black Ink Crew), Monifah (R&B Divas Atlanta), Terez Thorpe (R&B Divas Atlanta) and more.